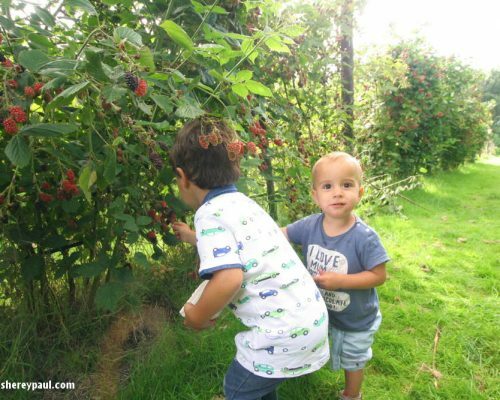 It’s no secret that our boys love to be and play outside, no matter the weather nor the temperature. Especially Liam loves to climb and pick branches, shells and rocks. This is why we try to find nice playgrounds for toddlers. 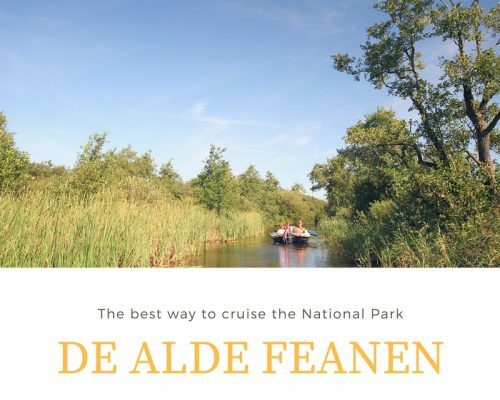 As we were exploring the National Park de Alde Feanen at the beginning of the month, I have put a summary of the funnest playgrounds in and around Alde Feanen. Have a look at this video and see if you can recognize some of them! The good thing is that there’s entertainment for all ages, even for the younger ones there’s small slide in the form of a ship (I haven’t seen this little one in any other playground). 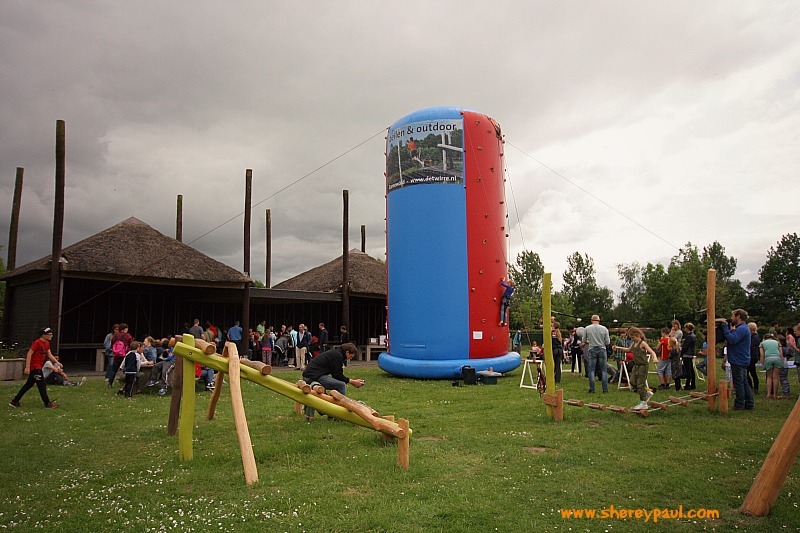 The visitors center also organizes activities all year round. 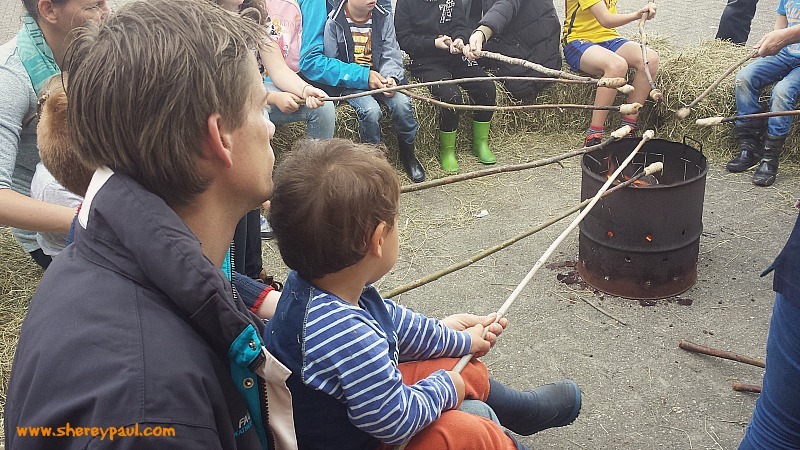 Our favorite so far was baking bread on a fire!! 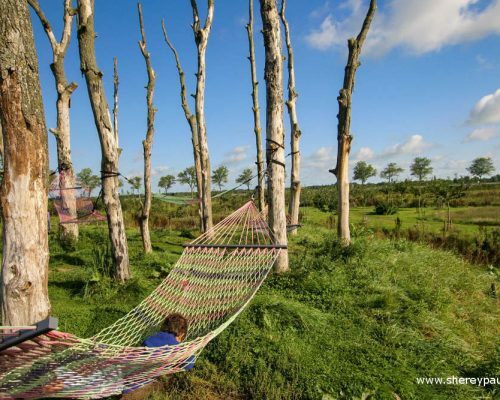 De Pettebosk is a forest for nature education and very close to the visitors center. In this forest, you can follow a “rugzakroute“, a marked backpack route, (I will write a post about it) or walk around the paths, solve assignments, climb mounds, jump from tree trunk to tree trunk, swim or just simply enjoy the nature. As a non-Dutch, I didn’t know that “kameleon” is the name of a series of books, which main characters are the Frisian twins Hielke and Sietse Klinkhamer. In Kameleon Terherne is all about the books and these characters, but I will tell you everything in another post. In short, you can take a boat and sail to adventure island. This island is a boy’s paradise!! 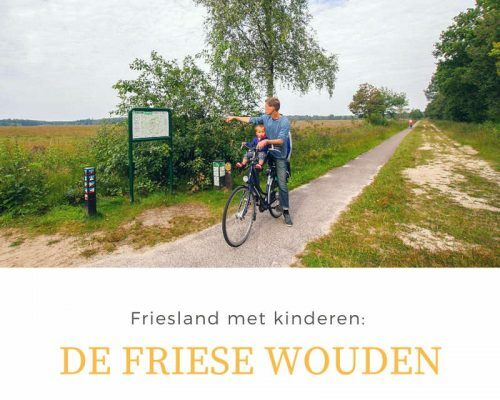 Bring a swimsuit and extra clothes with you, because there isn’t anything more fun than getting dirty in the marsh, swinging, jumping and “fierljeppen” (=fear lapping, a typical Frisian sport). 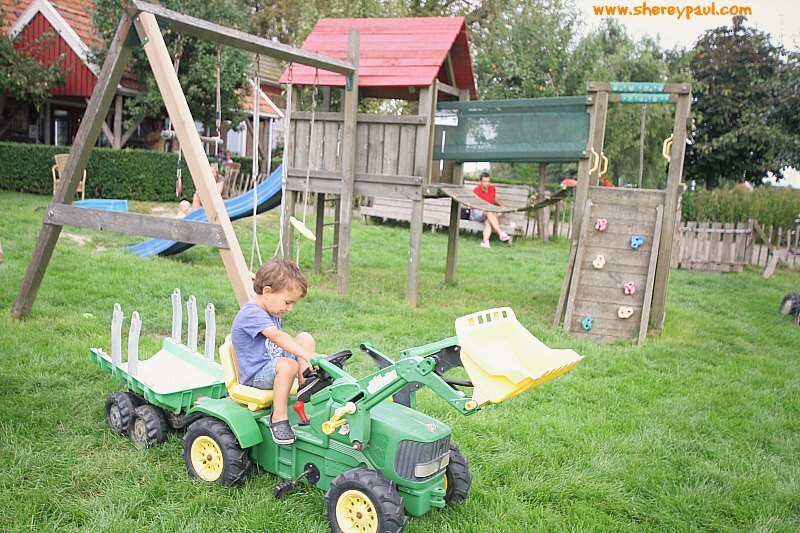 But besides the tractor, there’s a great playground, a jump cushion, and animals to watch and pet. 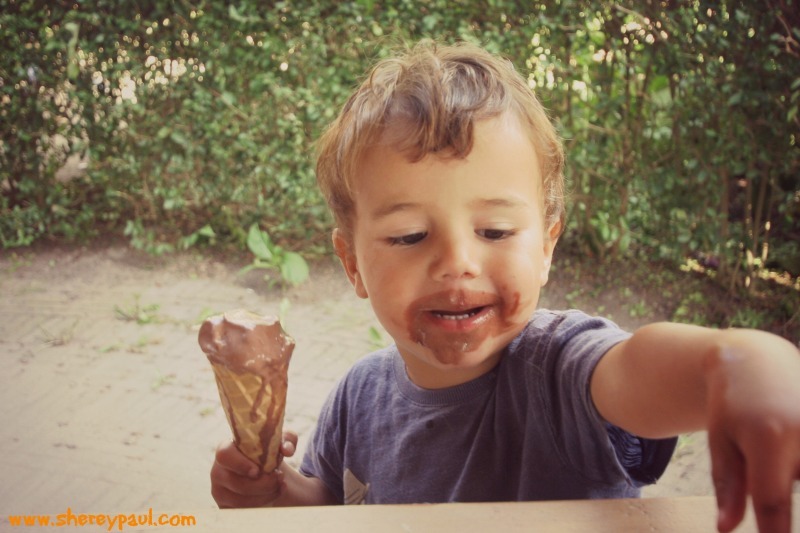 And of course the super bonus: ice cream made from the milk of their own cows!! If it’s not sold out, try the Frisian specialty “suikerbrood”. We will have to come back to try it, but also the blueberries ice cream was delicious!! 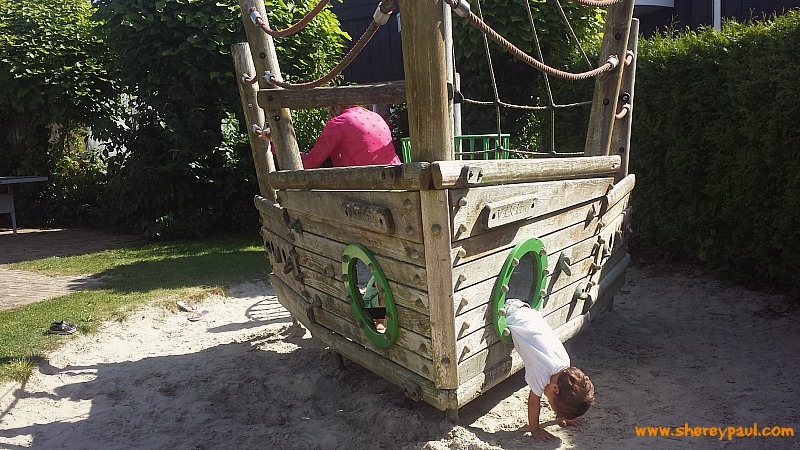 During our last visit to NP De Alde Feanen we also tried the e-sloop of De Twirre (I will write about them in another post) and, despite Liam’s injured foot, he was climbing and playing on this ship. 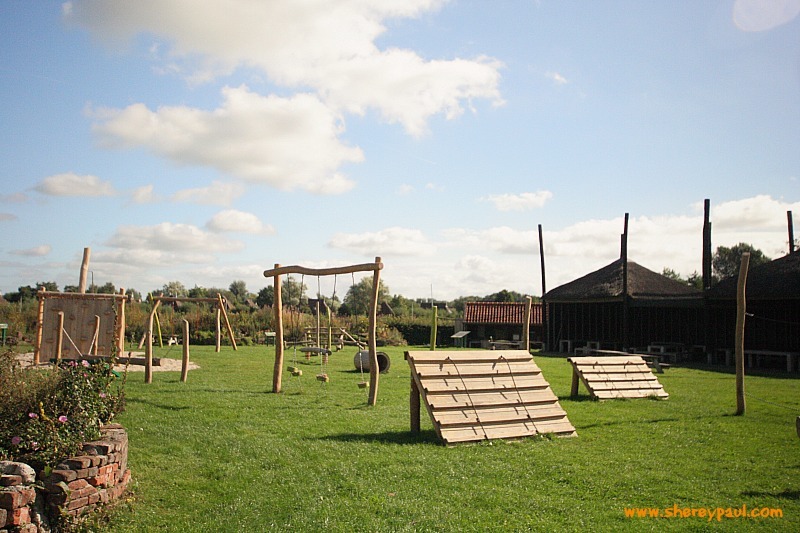 Which playgrounds have you visited? Which one would you like to visit? What a cool place. 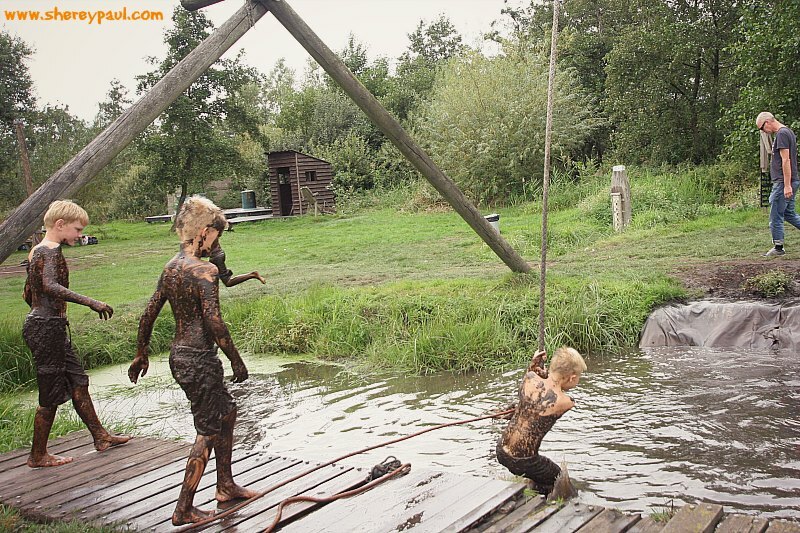 Those parks look like so much fun, and not just for boys, one of my girls would have love the mud when she was little (the other one not so much into dirty). Interesting that you were baking bread, I thought you were roasting giant marshmallows. 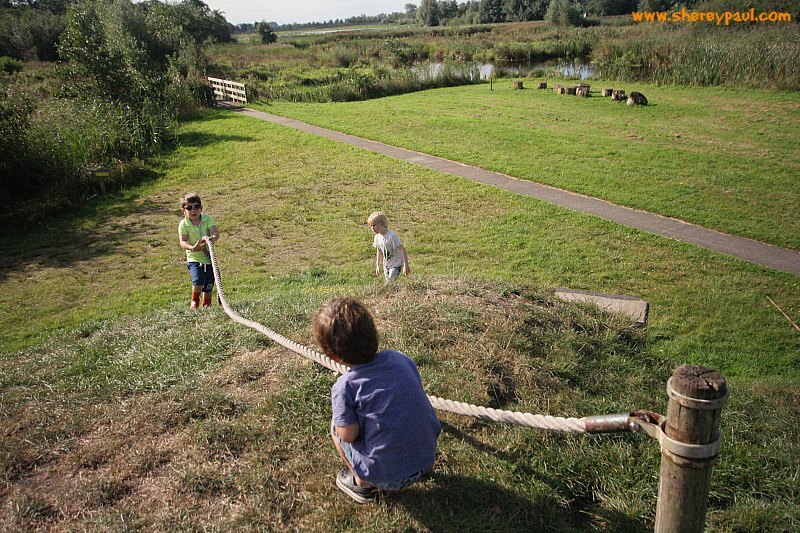 Great post for families, Adventure Island in Kameleon Terherne looks like so much fun – sounds like the boys had a blast! This looks like such a fun place! 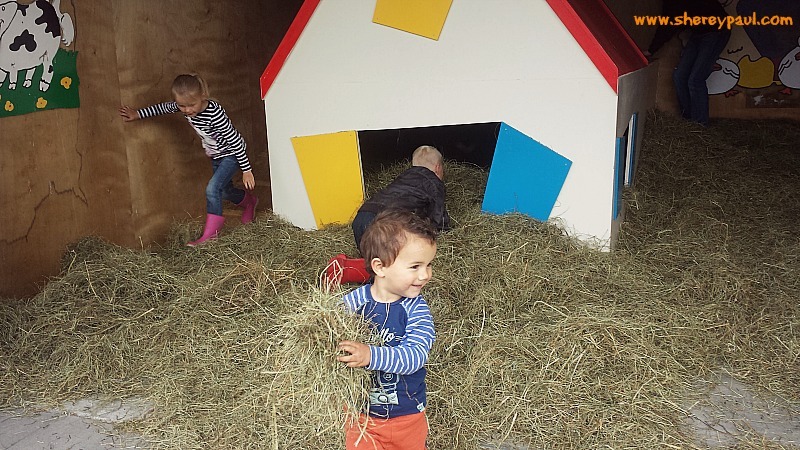 Looks like the kids had a blast! Wow, this makes me want to be a kid again! So fun! 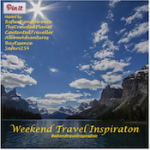 Great photos and post, thanks for sharing 🙂 Happy travels!